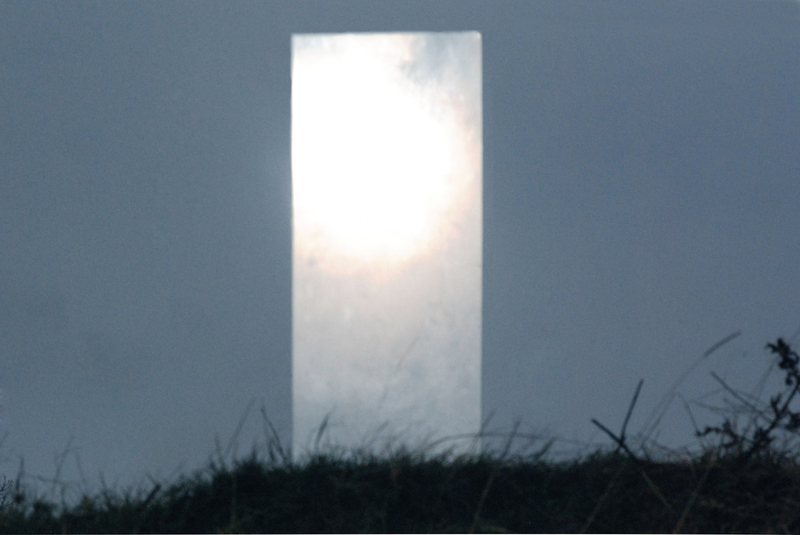 A simple pane of optical glass is placed in the landscape, inspired by menhirs used to measure cosmological time. The screens and glass architectures of our age of glass signify a digital illuminism and virtualisation that is monumentalised by glass monoliths of towering human proportions. The work creates a cosmographical interface in which landscape, sun, sky and viewer combine in a singular temporal depiction.